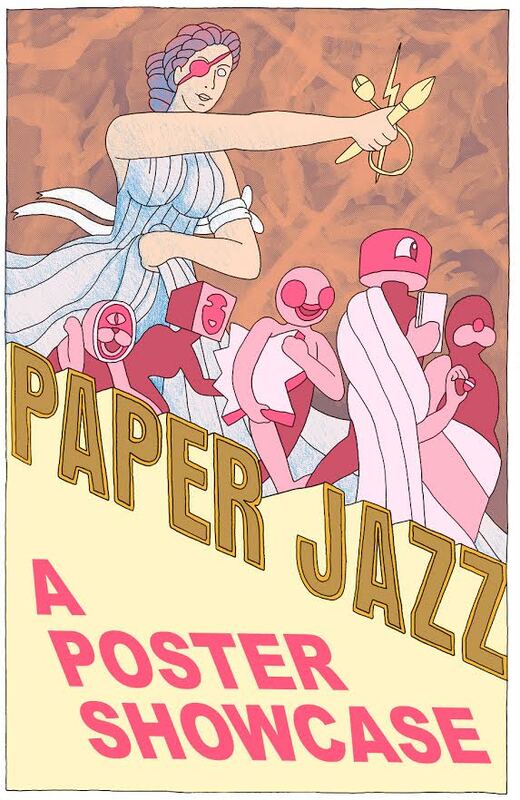 Clocktower presents Paper Jazz! A Poster Showcase!. What do we do with all this paper? What do we do with these skills? Are college degrees and bills archival? Are we unplanned obsolescence? How many more can fit in the niche? We're all tacked on this wall together, and we're gonna make this composition work. Paper Jazz Small Press Fest (formerly Paper Jam) is a twice yearly celebration of zines/comix/chapbooks/editions and multiples of all types. It is fully curated by the Silent Barn Zine Team as well as regularly rotated guest curators. We are dedicated to maintaining a space for small press within the Greater DIY community. Their next fest is on March 4th. Paper Jazz believes in creating a sustainable fest that does not gut artists with table fees. We are able to not charge artists through the communal infrastructure at the Silent Barn that has been built up and cultivated through years of collective work. We also don’t believe in charging attendees. Our fest is volunteer run and has very few fees, these fees are covered by asking our exhibitors for an optional small donation based on what they made. Anything made above our fees goes to compensate our poster designers and to Silent Barn Public Art and/or Outreach projects. Poster from Paper Jazz at Pioneer Works.